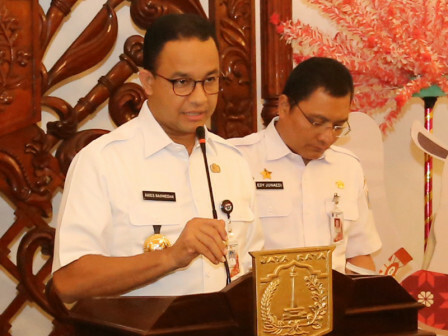 After successfully hosting the Asian Games XVIII, Jakarta Governor, Anies Baswedan ensured, Jakarta is also ready to succeed the Asian Para Games III that falls on October 6-13, 2018.
" We will make sure everything is friendly with disabilities"
According to him, Jakarta Provincial Government continues to conduct improvement thus various supporting facilities and infrastructure can really provide security and comfort for people with disabilities, either in terms of infrastructure or transportation facility. "We will make sure everything is friendly with disabilities. There is also a responsibility to ensure athletes can arrive at the match location on time, just like the Asian Games," he expressed, Wednesday (8/5). He hoped that the Asian Para Games momentum could foster public awareness about the importance of equal access for every citizen with any condition. "Not only public facilities, office buildings and other places should be friendly with disabilities," he stressed. It must also be a reminder for the SKPD and BUMD to ensure that all facilities are friendly to people with disabilities. "This is a good momentum and we must use it," he stated.